Welcome back lovely House-Mouse Friends! We are very happy you are here just in time for a new HMFMC challenge. 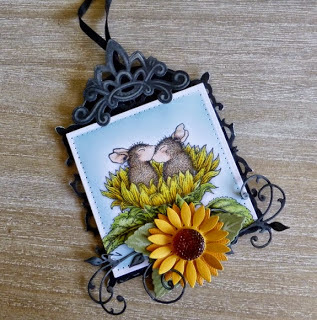 But first, we want to thank those of you who played along with us on the last House-Mouse challenge HMFMC167, "Flowers & Flourishes". Your creative entries were gorgeous! It was Kelly's turn to host and she has chosen her Lucky winners! We loved your entries. Please contact us to claim your Prizes within the next 2 weeks! Winners, please also note that we are inviting you back to join us as Guest Designers for the months of May & June. If you are interested, please let us know this when you contact us to claim your fab prizes. 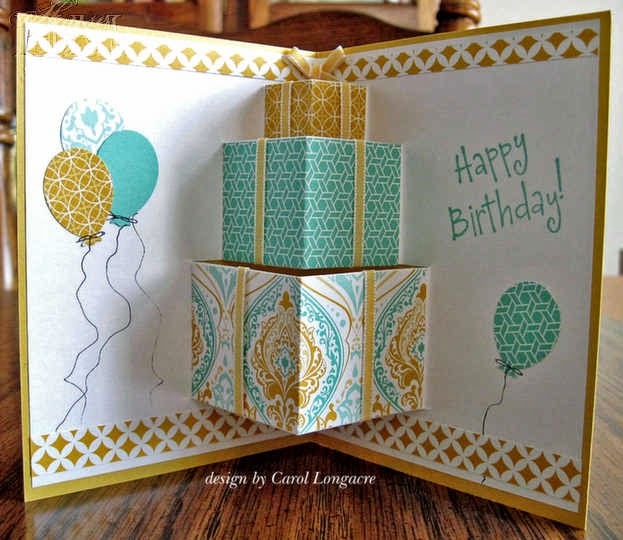 There are so many ways to *POP-UP* your projects and we cant wait to see what you'll come up with! Just have fun. Check out the Design Team's amazing samples below for great inspiration. 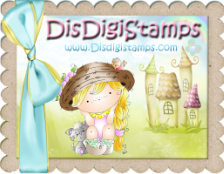 Please also remember that your project must feature stamps by House-Mouse Designs(R). 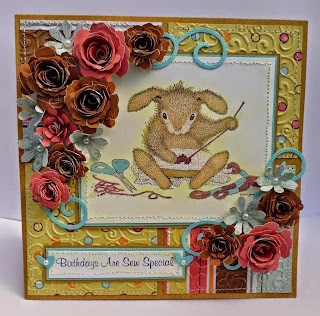 You can choose any House-Mouse & Friends, Gruffies, Happy Hoppers stamps, or the HMD CD Collection images or even HMD Decoupage. CHALLENGE Prize is a $12 Gift Voucher to Di's shop. Thank You to our wonderful Sponsors for your great generosity and support!! WOW!!! Way to go Popping Up your projects Team!! Thank you for such amazing contributions! It's now your turn! COME JOIN THE FUN!! 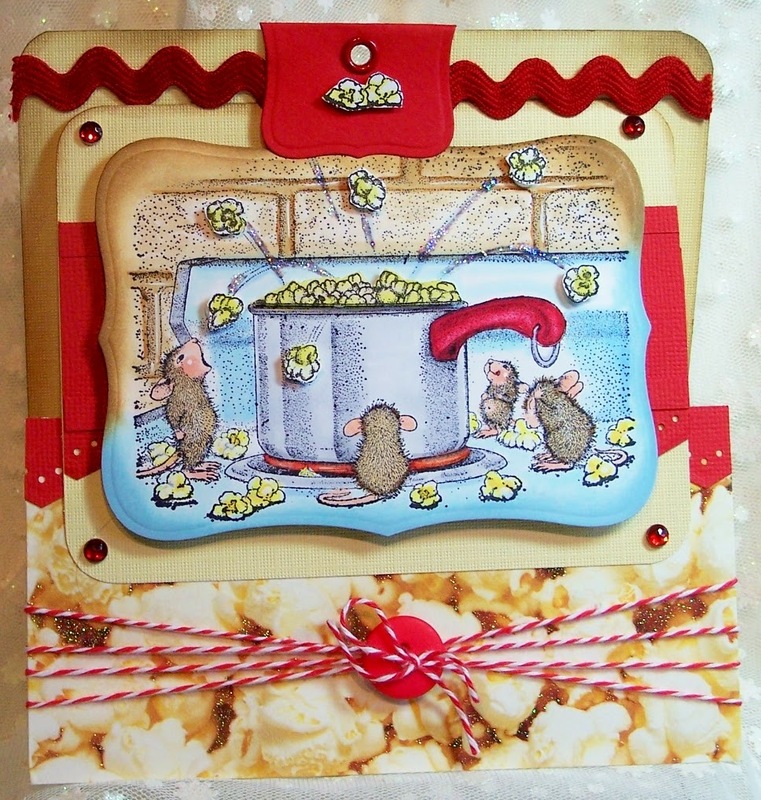 MUST USE House-Mouse and Friends, Gruffies, or, Happy Hoppers images. Enter your projects into this challenge with the inlinkz tool found below. Reference the Challenge CODE HMFMC168 and link your projects back here. You MUST BECOME A *FOLLOWER* of HMFMC. Enter as many times as you'd like, but your creations MUST be NEW projects. NO back linking to prior dates please. Be sure to submit your *Pop-IT-UP* entries by Midnight, EST, on Saturday May 3rd, 2014. 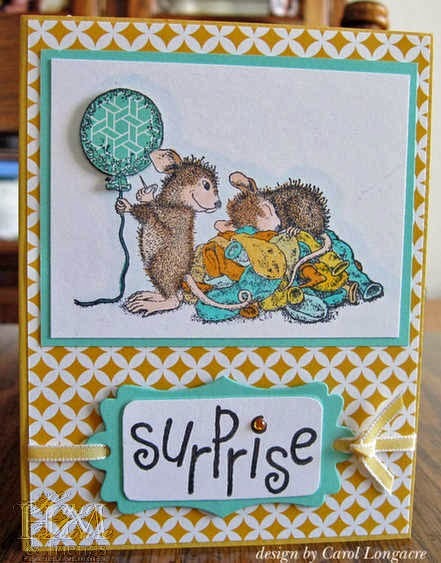 Did you know that YOU can also SHOW-OFF your very own House-Mouse, Gruffies and Happy Hoppers Creations* at the official House-Mouse Designs site? Just look for this sidebar button and follow the simple steps to upload your new projects. Can't believe I'm one of your lucky winners, thanks so much and congrats to the others. Will email you now. Congrats to our lucky winners. You all deserve your wins. Great projects for this challenge HM DT! the cards and project are gorgeous DT. How exciting to be one of your chosen winners !! Just fabby do !! So many fabulous entries !! Have just emailed!! Congrats to the winners... and amazing DT inspirations!! Thanks for the chance to win this adorable candy I have my fingers crossed!!! Hugs, Laila. 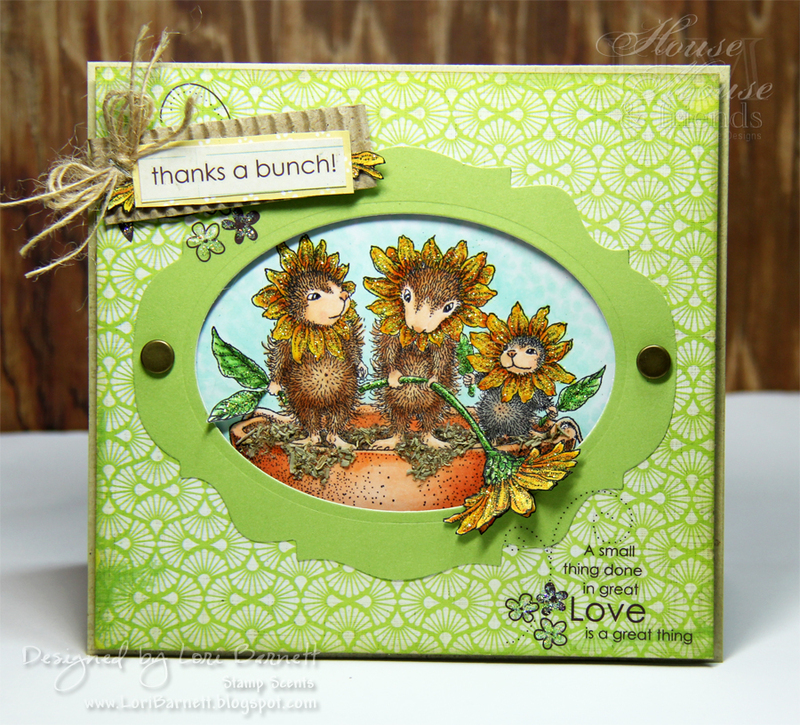 Congrats to the winners...love HM stamps so would be thrilled to win this candy! 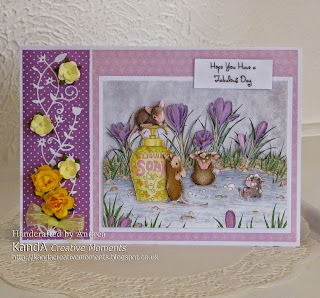 I have made a card and thank you girls for the change of the blog candy I have put it on my blog in the sidebar. Awesome DT inspiration. Thanks for the chance to win the adorable candy. I have put the picture and link back to you on my sidebar. Your cards are absolutely stunning. Lots of inspiration here! Thanks so much for the chance to win the candy. I've got it in my sidebar.